There were a lot of good films in this category this year – seems like some of the best in the last few years. I entered two films – “Bel Damme,” about the horrors of sleep disorders, and “Against the Grain,” about a killer and his tool. I like “Bel Damme” a lot, and for a lot of reasons. Mainly, it was the first film I had done since “The Next” in 2010 that wasn’t for a timed competition (e.g. The 24-Hour Film Festival). I didn’t have to worry about including a compulsory line of dialog or prop or character or location or anything like that. My story. My elements. My movie. With the acting talents of Randy and Carrie Thompson, the makeup talents of Ash Mac, and my new-found (and still finding) skills in After Effects, I was able to take the script I had written a year and a half ago and bring it to life, far better than I had originally imagined it. When it was finished, I knew it was one of the best films I had done. Tight script, good acting, decent effects (again, still learning), and a couple of really good scares. The next take was magnificent. And the next, even better. That little tweak made a huge difference from being just a little creepy, to being rather terrifying – this guy was REALLY into his work, and there is nothing you can do to stop him from enjoying it. All in all, the script being so short, shooting in basically one take, and Randy knowing his lines so well, the shoot took a little over 3 and a half hours, including set up and takedown of equipment. In no time, we were wrapped and eating dinner. Overall, the investment was 4 hours of shooting time, dinner for four, and gas from Knoxville to Maryville and back. The return? 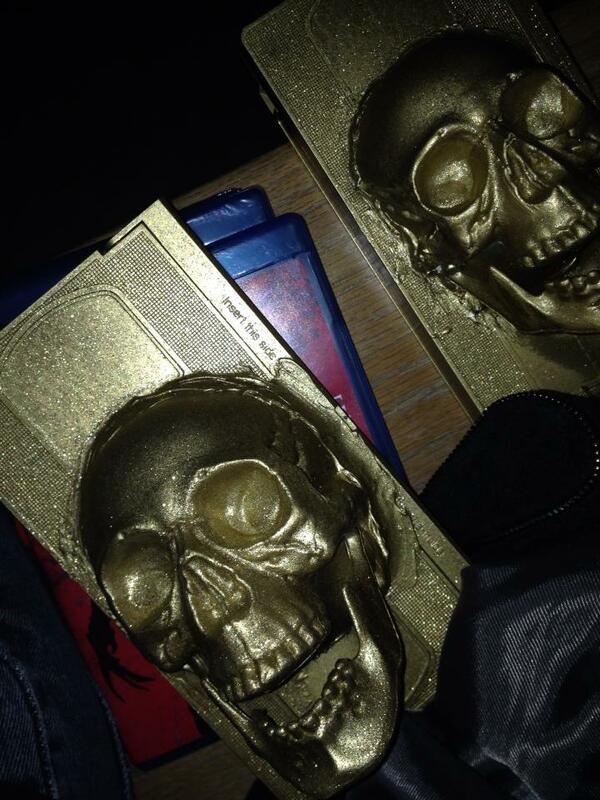 Awards for Best Regional Film and Audience Favorite at the 2013 Knoxville Horror Film Festival. And even more rewarding was the number of people I overheard talking about “Against the Grain” during the festival. Not just after it screened, but after the first block of films, at the end of the first night of the festival at the bar as people were tabbing out, and even the next night in the theater lobby after the main feature. It really seems to have stuck with people. One room, one speaking role, straight monolog, no effects, no costumes … simple. creepy. fun. Me thinking I was looking creepy, but I realize now that I just look unimpressed. 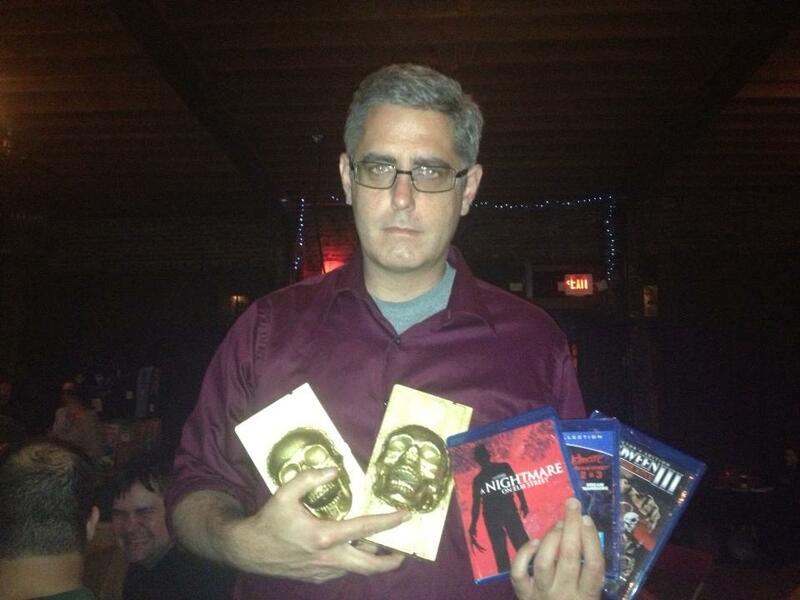 Believe me, I was very pleased with the awards. Best Regional Film and Audience Favorite.